You are currently browsing articles tagged Government. Follow your dreams. That seems to be a theme of my posts, but that is because I truly believe it. There are so many opportunities to do so at Harvard too—everything from growing your own vegetables, to engaging in political discourse, to theatre troupes with a long history. Yet the wealth of resources can also make us veer of course. I (perhaps unfortunately?) 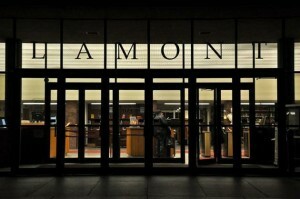 was not one of the students that changed my major as often as I immersed in Lamont to study. Partly because all the departmental intro meetings often have delicious, free food at them, but mostly because for my first two years I was so entrenched in pre-college major that I didn’t give myself the freedom to explore callings that arose. It wasn’t until junior year that I explored the Mind-Brain-Behavior Track Program & Philosophy Department. In senior year I took on classes in anthropology & history, and realized my dream was at the intersection of all of these courses, departments, and teachers: food education, nutrition policy, and cultural foodways. Instead of jumping into a job the day after graduation, I took on a fellowship to research the artisanal food movement (which I begin this week! ), and completed a yoga teacher training (YTT) program that spoke to my interest in healthy & holistic healing (complementary to nutrition). Its scary to take the road less travelled, but in doing so, you may just realize (as I did) that its the path your meant for. Indeed, if I never stayed in Boston and did the YTT, I would never have met the amazing owner of the studio in which we did our YTT (Karma Yoga), Jesse Widner. Through Jesse I became involved with helping and expanding his non-profit C.A.R.E, (the Community Animal Rescue and Education organization) into new projects I probably will update more as the summer goes on and plans become solidified. I’ve found this work an extremely satisfying way of bring together my varied passions of community, yoga, healing, and education. 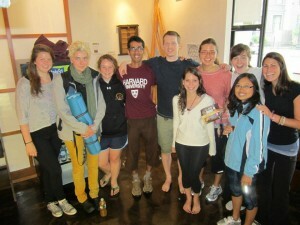 My YTT Tribe & Jesse in the middle at Karma Yoga! So, wherever you end up, follow your desire and carve the path you want. More updates on a summer in Boston—including the beginning of the fellowship and my evolving working with C.A.R.E—to come. Last week, I helped launch a campaign for President of the United States. I’m a blogger and foreign policy advisor, and we already have a multitude of other advisors, a campaign manager, press secretary, and even an embedded reporter. Okay, so this isn’t exactly a real campaign. Instead, it’s a simulated presidential election for a class I’m taking at the Kennedy School of Government (KSG) on political communication. Instead of just learning how campaigns are run and how to deliver messages to voters, we actually give speeches, write press releases, and then help our candidate prepare for the debate that serves as the capstone to the course. Throughout, we’re receiving feedback and lectures by the professor, who is an active political consultant and manager on actual presidential campaigns. 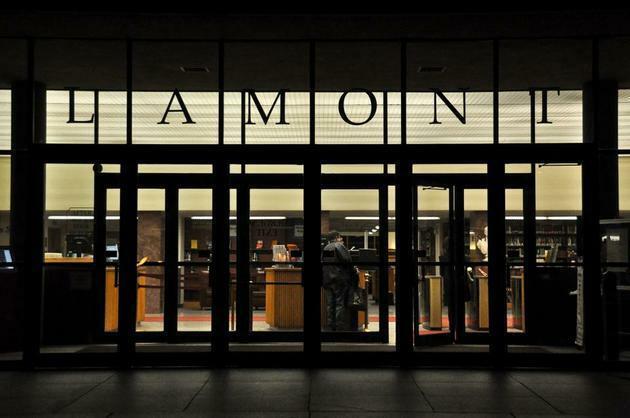 Taking courses at Harvard’s graduate school is one of the lesser-used treasures of Harvard. If the 1000+ courses offered through the College and the Faculty of Arts and Science aren’t enough, there are 1000s of additional courses available through Harvard’s graduate schools. Are you deeply interested in policy making and politics? Take a class at the Kennedy School. Want to revolutionize education? Try out the Graduate School of Education (GSE). Interested in the legal issues surround tech companies? Cross register at Harvard Business School and Harvard Law School. Cross registering is simple: just get permission of the professor, get a form signed, and then you’re in. Many concentrations (such as mine, Social Studies) even offer concentration credit for a number of the courses. While I took the political communication class on a whim, having the Graduate School of Education has both inspired me to write on education for my senior thesis and learn more about my specific topic, education technology, before I begin my research this summer. I took the course “Education Policy Analysis and Research in Comparative Perspective” last semester where I learned to think about how to implement programs and policies in practice, considering economic, political, and physical constraints. While the College’s strength is in liberal arts, providing a strong foundation in theory, this shift in thought forced me to think in new ways. Beyond the course, taking classes at the graduate schools also offers a number of prospectives from people outside of academia. The GSE course included a number of guest lectures from educational entrepreneurs, heads of international aid agencies, World Bank economists, and more. Through the Kennedy School course, I’ve even heard from one of Obama’s current speech writers. Having taken the courses, I have been able to meet the students at the respective graduate schools, who are experienced in their respective disciplines and can provide perspective on what it’s like to actually work in the field in the real world. Finally, you’re able to build out a network of professors in subjects you’d like to get to more involved in; in fact, my GSE professor is actually helping me with my thesis over the coming year. While the College offers plenty of courses, exploring the graduate schools is yet another way to learn about subjects in greater depth and try something new!